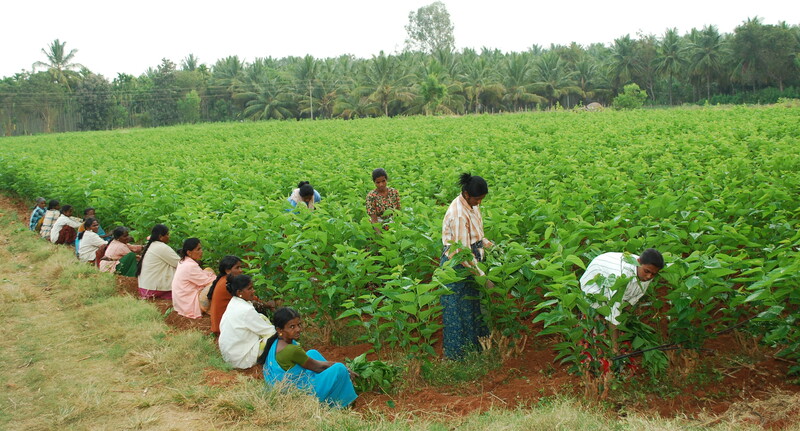 Basic Seed Farms (BSF) are the backbone for sericulture industry as they maintain stock of pure silkworm breeds apart from generating and supplying basic seed cocoons for the production of commercial dfls in NSSO. These BSFs also meet the entire basic seed requirement of NSSO and the state sericulture departments. NSSO has 20 well-organised BSFs setup in different parts of the country covering P3, P2 and P1 levels for basic seed multiplication. The basic seed multiplication system has a greater impact on the quality of commercial silkworm seed produced. It is said that a good seed is a mirror or sound seed production system and a good harvest of commercial cocoons would be a mirror of good quality seed. The breeders’ stock is maintained at the research Institutes and the multiplication of breeders’ stock is undertaken in P4 station. Down the line, multiplication of P3 (great grandparent) and P2 (grand parent) levels are done in Basic Seed Farms The maintenance and multiplication of P3 and P2 basic seed is very important from quality seed production point of view. Therefore,adoption of one way system of multiplication is crucial in the aspect of quality seed production. The silkworms are reared in the same method of P3,P2 and P1 levels, but the care taken in the maintenance and multiplication in each stage and system of rearing are different. Currently basic seed maintenance and multiplication is carried out at the Government sector in the country and NSSO is entrusted with this work along with responsibility of meeting the basic seed requirement of different agencies involved in commercial seed production. The NSSO Head Quarter is involved in meticulous planning, monitoring, coordinating and evaluating the programmes implemented in these farms regularly on a day-to-day basis. To maintain high yielding mulberry varieties for production of quality leaf suitable for seed crop rearing by following scientific package of practices. To maintain and multiply basic seed of authorised silkworm breeds, true to the original characteristic of the breed for downstream multiplication. To generate quality parental seed cocoons and address the problem areas for excellence in F1 seed production through SSPCs. Maintaining high yielding mulberry varieties by replacing the old varieties in a phased manner. Systematic multiplication of approved races true to their breed characterstics. Rearing of silkworm on scientific lines. 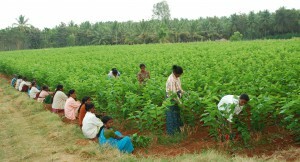 Multiply the stock and produce basic seed, as per requirement. The Basic Seed Farms generated a total quantity of 110.13 lakh seed cocoons against the target of 125.62 lakhs, out which 72.95 lakhs were of Bivoltine seed cocoons against the target of 78.16 lakhs and 37.18 lakhs were of Multivoltine seed cocoons against the target of 47.45 lakhs. Overall, the BSFs brushed 40,086 basic seed against the target of 41,810 dfls (95.87% of the target). The 16 bivoltine farms together brushed a quantity of 22781 dfls against the target of 24555 dfls and the Multivoltine farms brushed a quantity of 17305 dfls against the target of 17255 dfls. The Bivoltine farms registered an increased production of 9.77 lakh seed cocoons which works out to 15.46% increase over the previous year by brushing 4727 dfls more than the quantity brushed during 2014-15. The BSFs such as Mysore (148.47%), Nagamangala (100.08%), Dharmapura (138.02%), Yelagiri Hills (135.42%) and Majra (111.05%) under Bivoltine farms and Banguria (103.48%) under Multivoltine farms achieved more than the target fixed for the year.